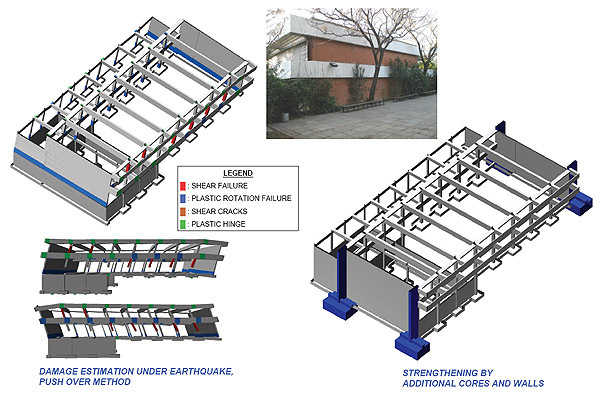 The company has designed and supervised over 60 cases of strengthening and retrofit of buildings against earthquake over the past 15 years. 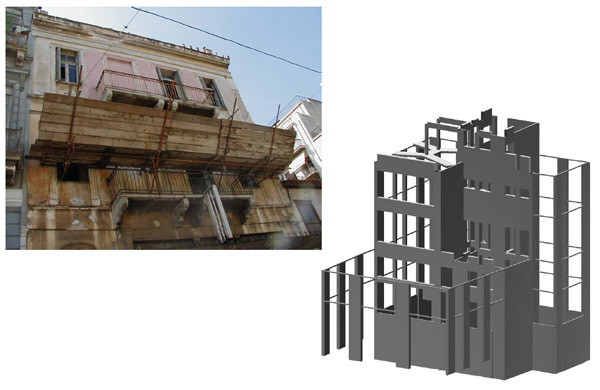 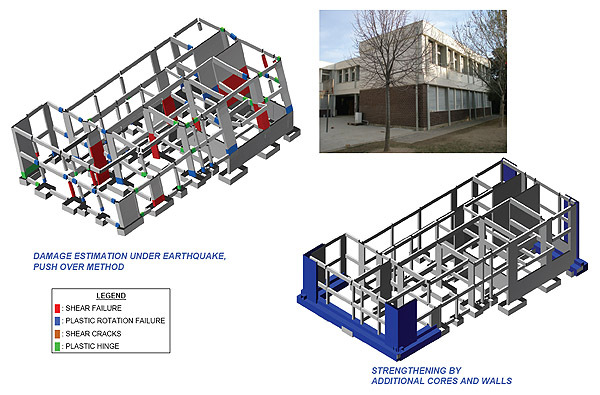 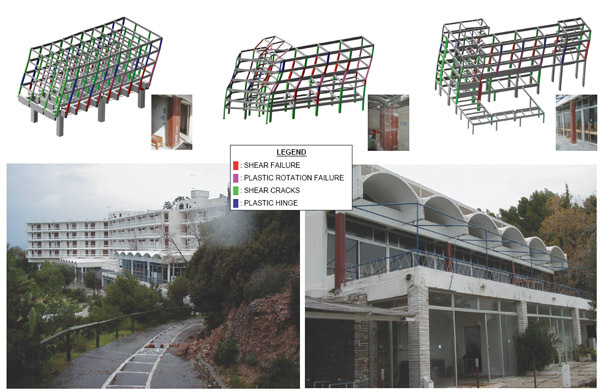 After the Athens earthquake in 1999 the company was the first in Greece to apply its own software (Statik-3P) using the Push-Over method, according to the instructions of the American FEMA. 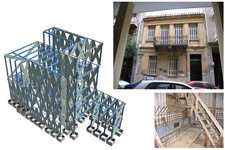 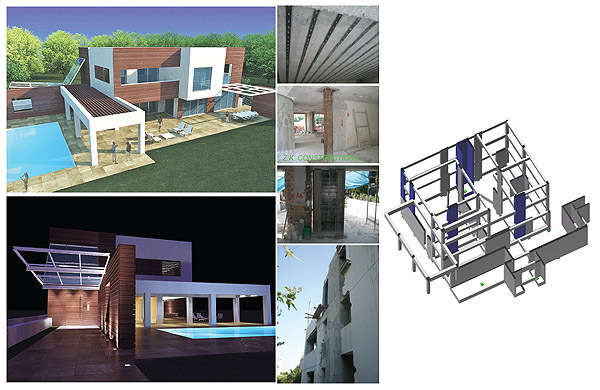 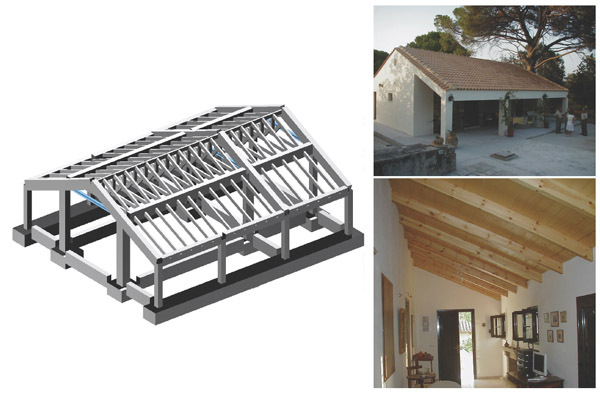 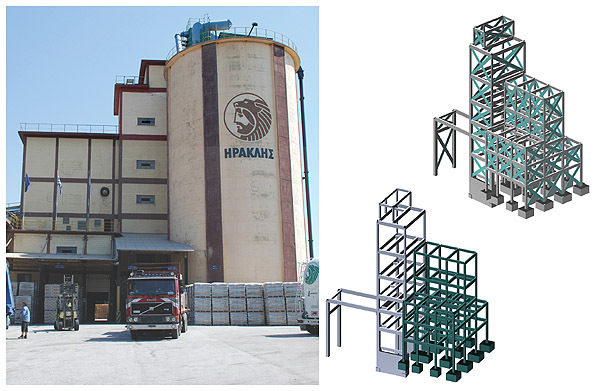 Ever since as 2000 the company has presented in conferences in Greece and abroad retrofits of buildings by means of the addition of cores and walls as well as the redesign and strengthening methods that were applied. 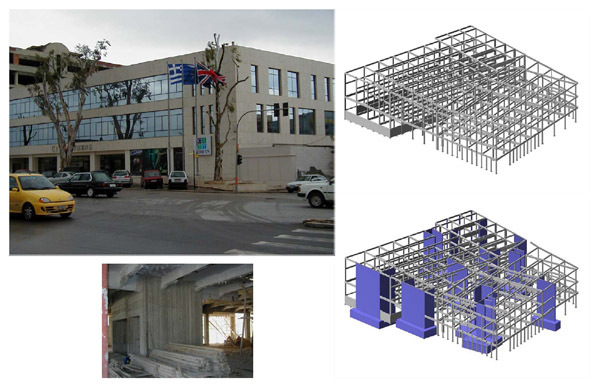 Among them a 15.000m2 office building with a non-symmetrical bearing structure, where external cores were added and existing walls were strengthened to their foundation without interrupting the usage of the building. 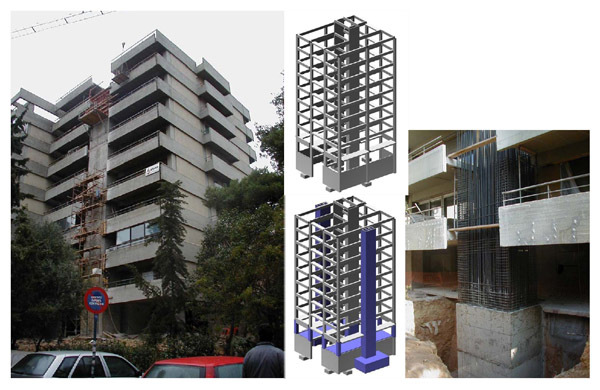 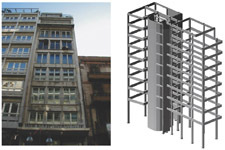 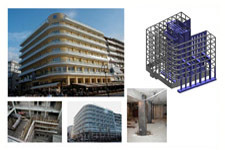 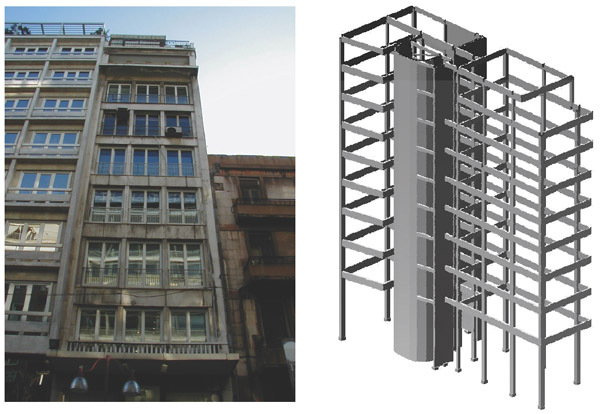 Eight story apartment buildings were strengthened by means of adding external cores of dimensions 2x3m and height 32m. 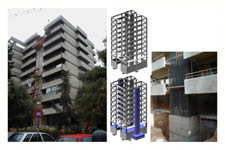 The cores were connected to the balconies without the habitants having to evacuate their apartments. 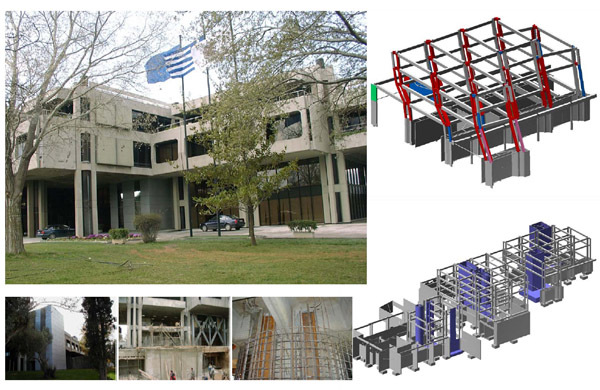 Old industrial buildings have been redesigned and strengthened by means of cores and walls in order to host a private university of 12.000m2 area. 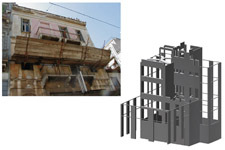 A six story hotel has been rebuild through partial reconstruction, extensive modifications, additions and strengthening. 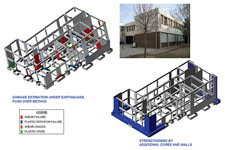 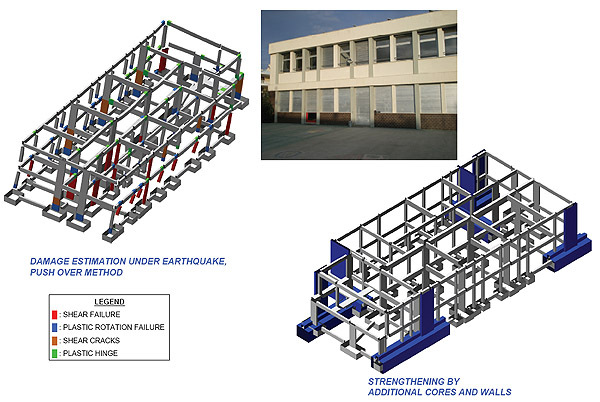 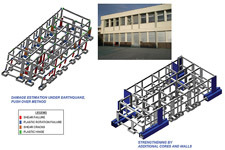 In a school building, the dimensions of the foundation have been increased in order to found the existing walls which were also strengthened while the building was in its normal use. 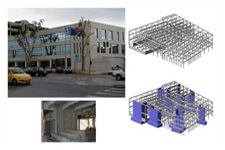 An office building was strengthened by means of the addition of external walls founded in the second basement level, again without interrupting its use. 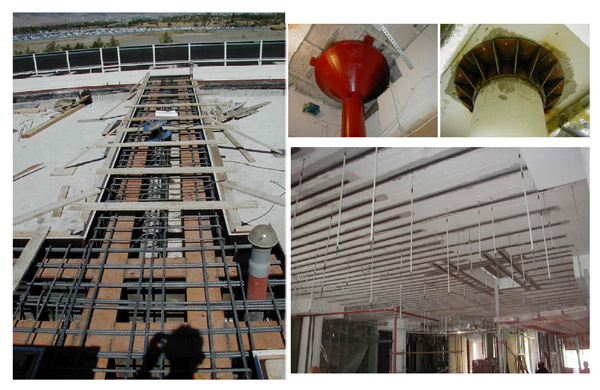 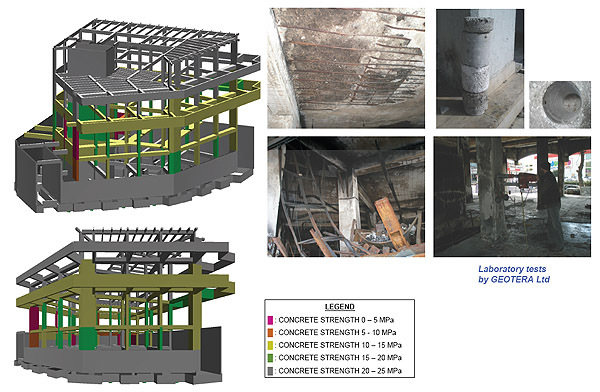 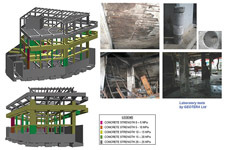 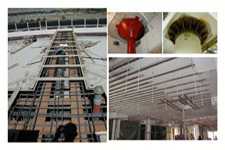 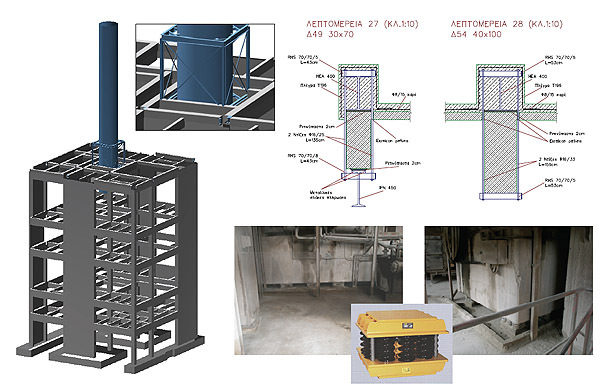 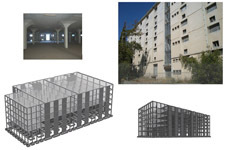 In a hospital special retrofit operations were applied in order to increase the bearing capacity of the slabs. 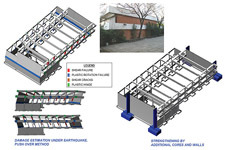 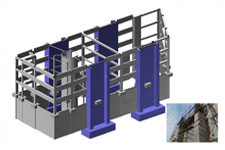 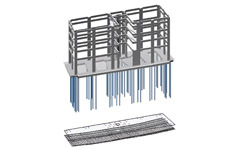 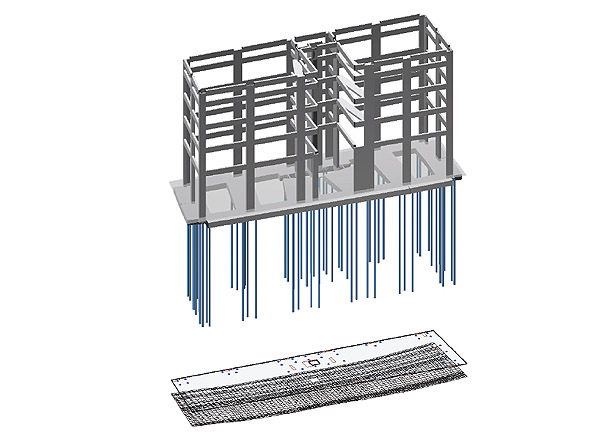 At the same time metal drop panels, composite beams and columns and other metal constructions were added against the risk of deformation and punching. 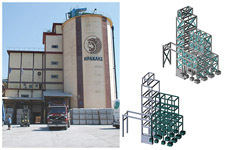 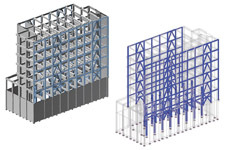 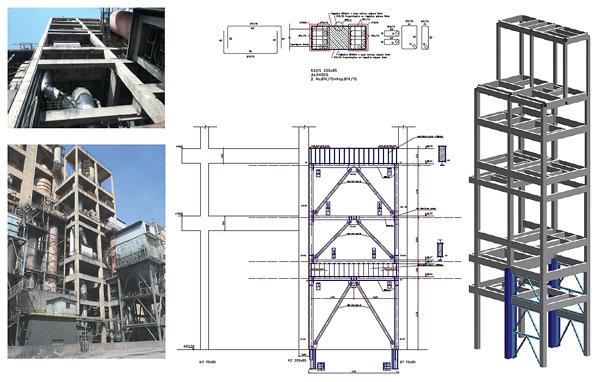 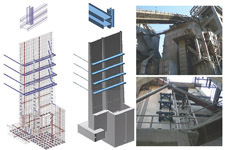 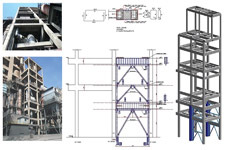 Industrial towers have been strengthened with up-to-date techniques for absorbing energy and a multitude of columns have been strengthened by means of adding metal jackets. 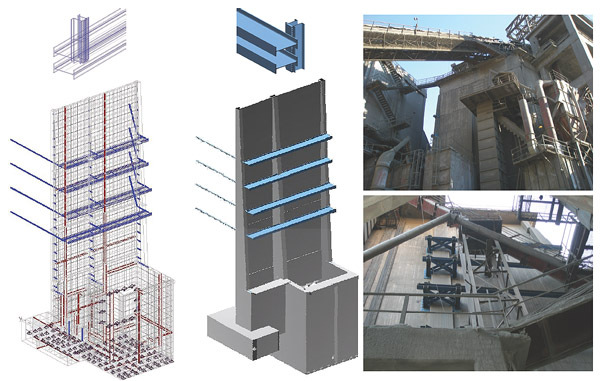 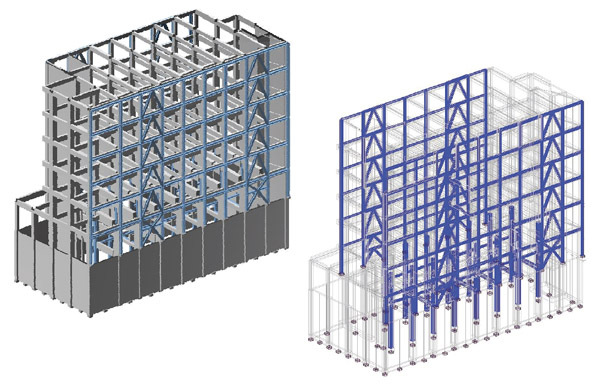 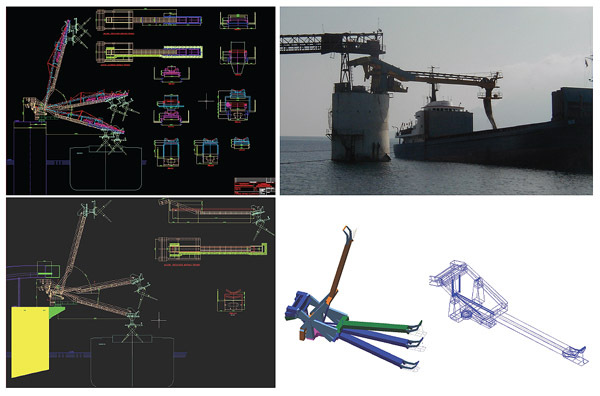 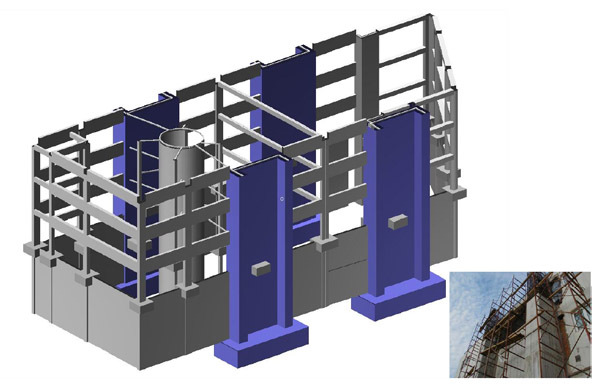 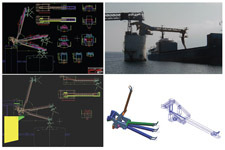 The company participates in a research project for the development of fibre-reinforced selfcompacted high-performance concrete (C110 to C180), designing and programming suitable software and technical background since 2003 and advancing to its application in praxis. 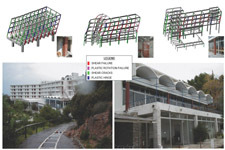 STATIK-5P continues to lead the static inelastic analysis of space frames, according to the specifications of the new Greek regulations for stru-ctural interventions (Nove-mber 2005 issue). 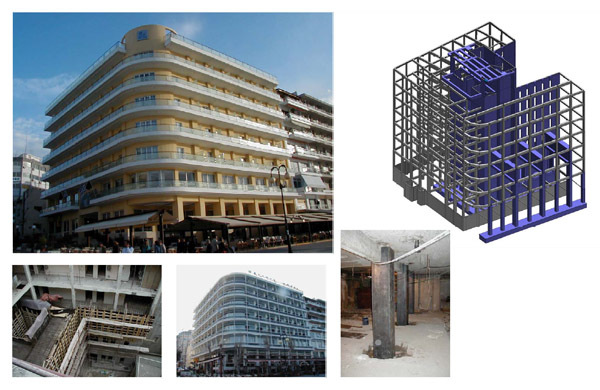 Athens, June , 21 & 22, 2007. Applications to participate up to May 25, 2007. Athens, May, 24 & 25. 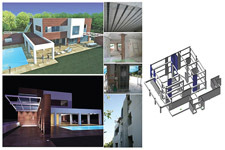 Applications to participate up to April 30.